In the corporate field, the reputation to the client matters a lot. Now like the Marketing Calendar template you can use these special templates for marketing campaign. 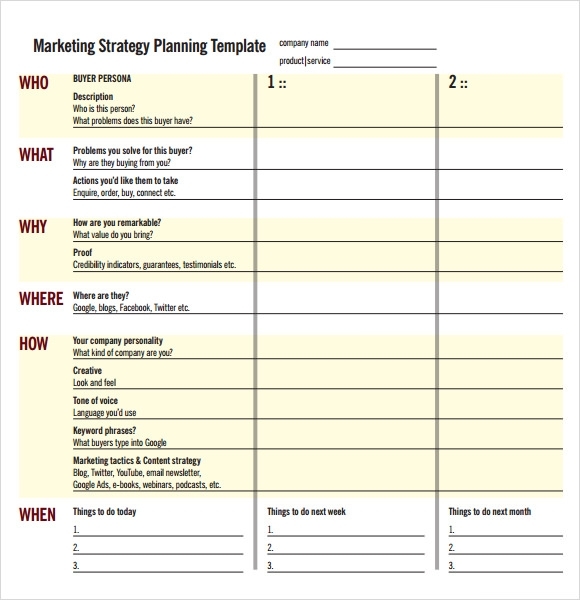 Plan the promotion of your products effectively with these awesome templates and see significant growth in sales figures. The customers only buy the products of the brand they know. Moreover, these templates ensure promotion. The templates are available for free download. You just need to distribute among your team members who are dealing with Marketing Campaign so that everybody follows same routine. 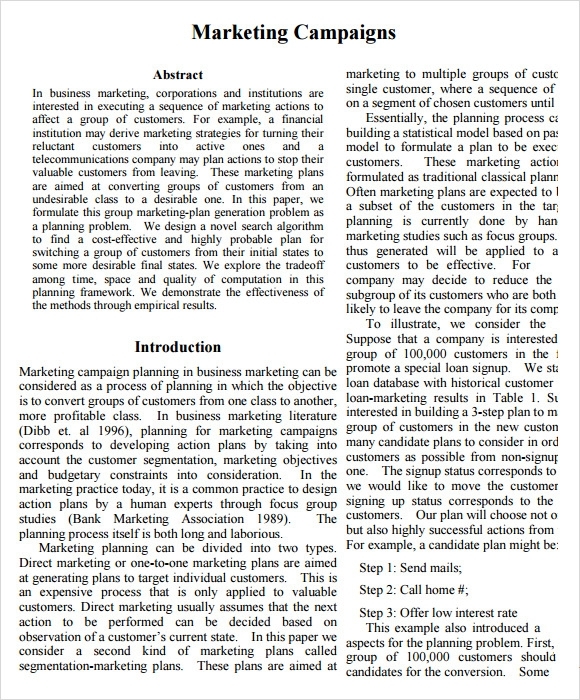 No problems about the format too as the templates are available in word and PDF format. The example of marketing campaign template is basically an example of a marketing strategy that serves as a guide for the user in regards to a step by step process involved in making the marketing campaign successful. It contains a complete list of different contents and explains each chapter in full details. 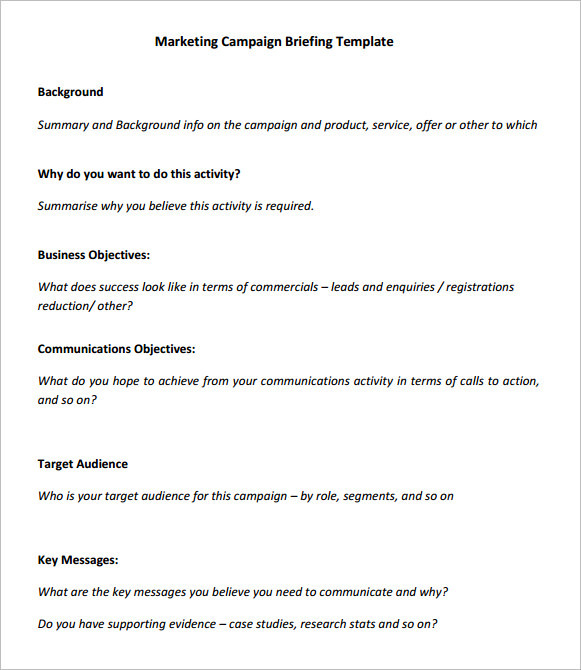 The marketing campaign example template offers users with the perfect format of a marketing campaign template that is required to be followed when coming up with a marketing campaign. This template features a very interesting design and includes important questions that help in analysing a company’s potential in the best way possible. 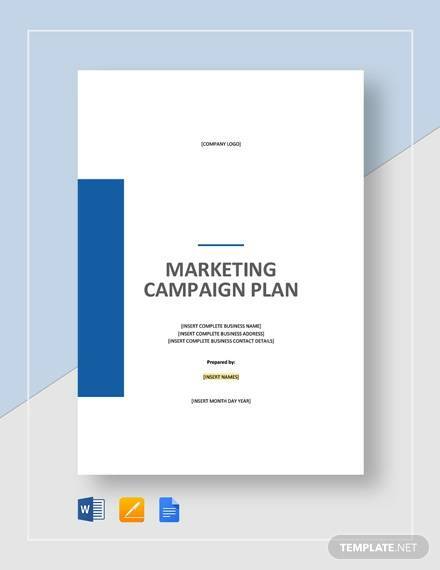 The marketing campaign plan template serves in the form of a complete description of the right procedure of planning and marketing and business strategy. There are different sections included in the template describing strategy, pricing, product, objectives, service information and promotion of a company. 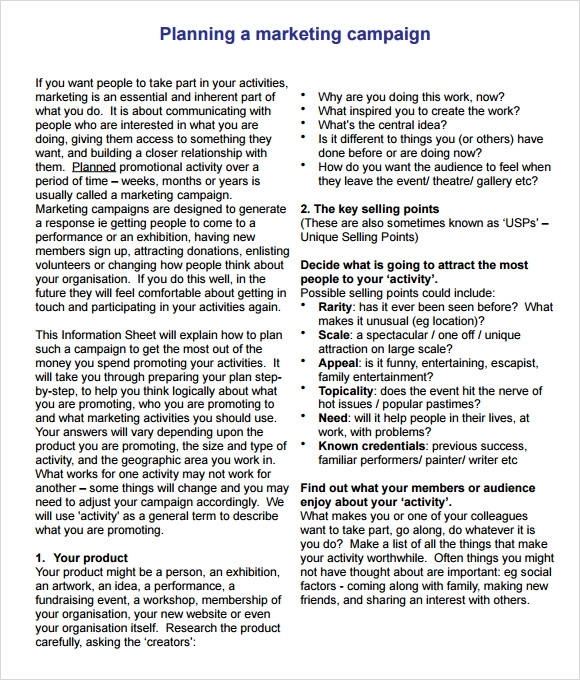 Why does a Company Need Marketing Campaign Templates? Effective marketing campaigns have a very important role to play in the positioning of a particular business in a specific sector. Successful marketing strategies generally depend on the organization laying good emphasis on the proper value and the reliability of a business. Marketing campaign templates help a business in standing out in competition in genuine and subtle ways. They are needed when companies need to establish proper communication with target customers and the market. These templates are of perfect use for the startup companies who are in the look out of finding the right methods that can help them in getting established in the industry in the most dependable manner. Who are the Target Audience for Marketing Campaign Templates? What are the Benefits of Marketing Campaign Templates? Marketing campaign templates are quite beneficial for businesses as they bring together all the important aspects of a successful marketing strategy. 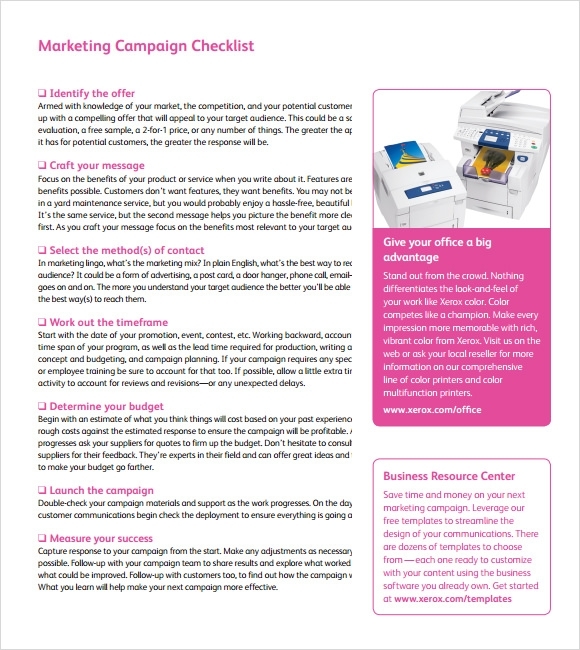 These templates are of good use for the marketers in managing their marketing campaigns in the most effective manner. This helps the marketers in getting the campaign planning right by increasing the understanding between the individual briefing the marketing campaign and the ones completing it. 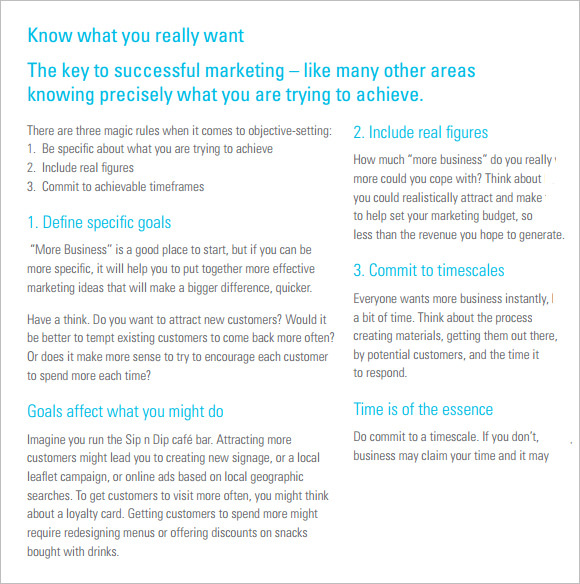 Companies can set clearer goals with the use of these templates and even define their target audiences clearly. The process of developing the perfect marketing campaign can be made easier by the effective use of marketing campaign templates.